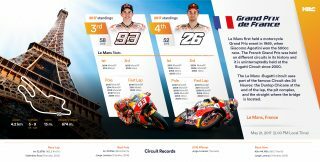 Marc Marquez and Dani Pedrosa are en route to France for round 5 of the MotoGP World Championship after each scoring one win and one additional podium finish in the last two races. Marc and Dani, who have moved up in the standings to third (-4 points) and fourth (-10) respectively, aim to make the best of the progresses they’ve achieved on their RC213V in order to continue at the same level during another quite unpredictable season, which so far has seen three different winners in four races. 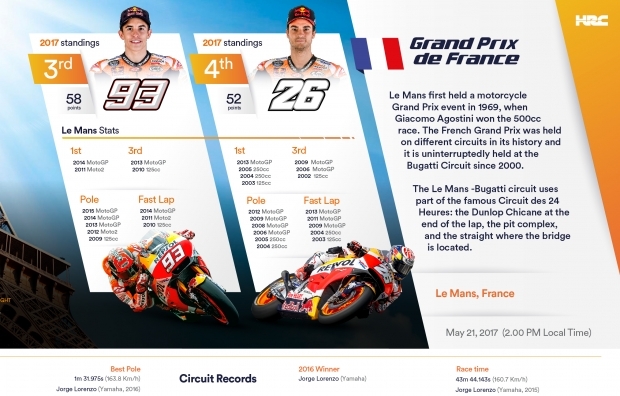 The next challenge for the Repsol Honda pair and their team comes at the historic, stop-and-go Le Mans Circuit, which has recently been resurfaced. 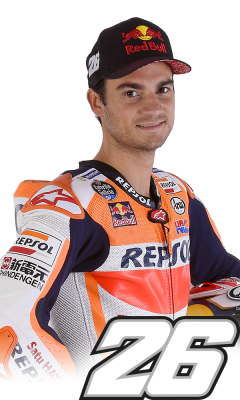 Dani Pedrosa has 4 wins: 1 x 125 (2003), 2 x 250 (2004 and 2005), and 1 x MGP (2013), plus an additional 3 podiums and 6 pole positions. 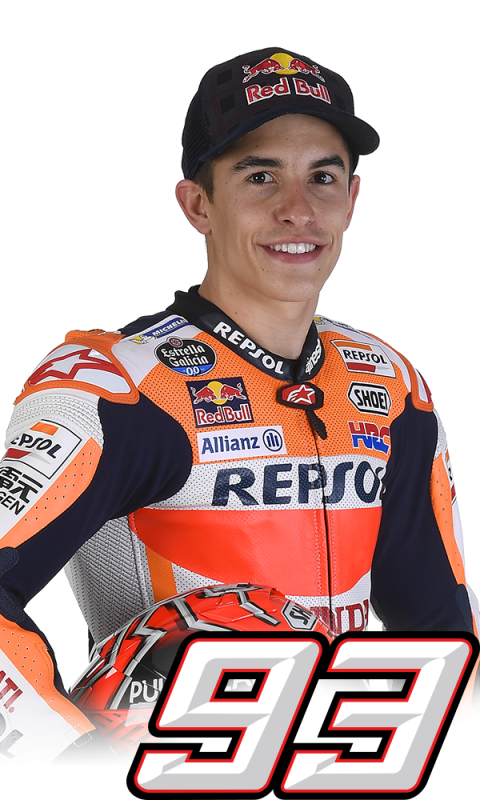 Marc Marquez has 2 wins: 1 x Moto2 (2011), and 1 x MGP (2014), plus an additional 2 podiums and 5 pole positions. “After a great weekend in Jerez we now head to Le Mans in a very positive mood. 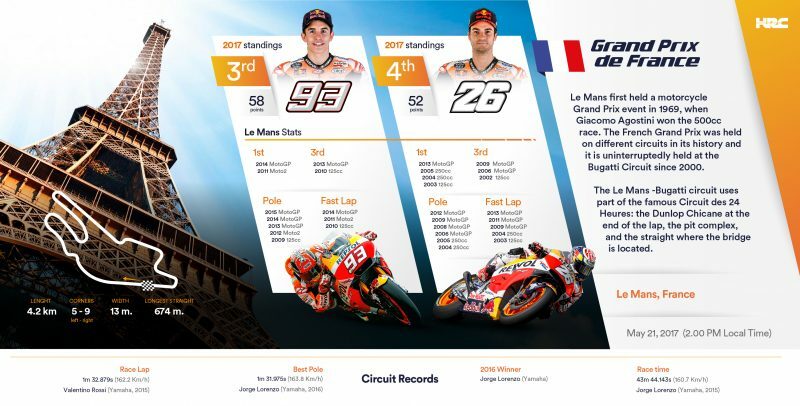 The French GP is always challenging. 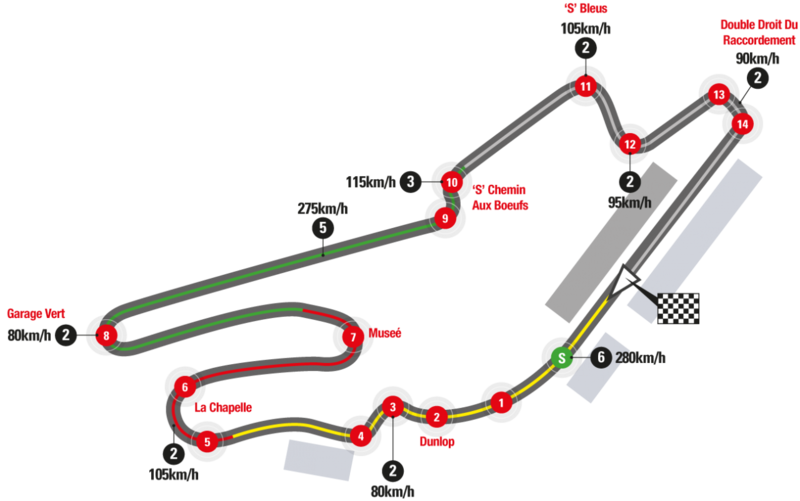 To begin with the weather is usually quite changeable which makes it difficult to find rhythm in the practice sessions or to plan how to improve run by run as it may be too cold or the total opposite, very hot. The track itself is very short and the smallest differences in the lap times can make a great difference in the standings. I hope the bike works well on the new asphalt. You need good acceleration and good braking, but consistency is the real key. We are working well with the team and we’ll try to maintain the same level also there”.